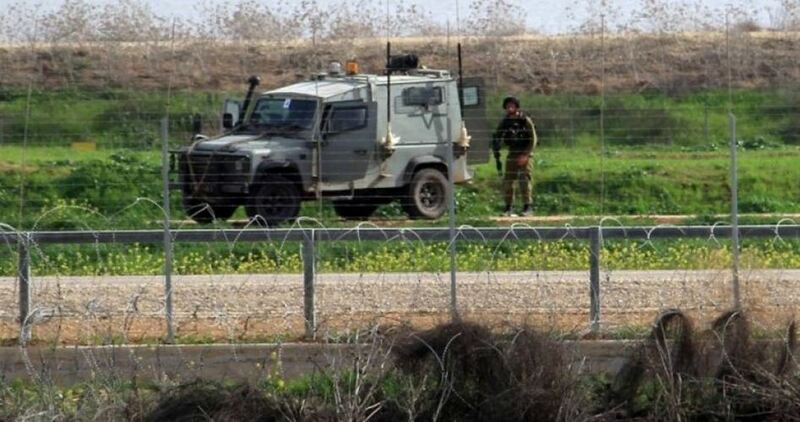 The Israeli occupation forces (IOF) on Sunday evening opened fire at Palestinian farmers in al-Fakhari town, in southern Gaza Strip. Reporting from the blockaded Gaza Strip, a PIC news correspondent said Israeli patrols deployed at a military watchtower east of Khan Younis attacked Palestinian farmers in al-Fakhari town with gunfire. Sometime earlier, an Israeli military patrol in eastern Rafah claimed it was targeted with gunfire. The attack is another violation of the ceasefire deal struck with the Palestinian resistance in the wake of Israel’s military offensive on the besieged coastal enclave of Gaza in the summer of 2014. Palestinian intifada young men carried out, during the first week of April 2017, 11 heroic operations against the Israeli occupation forces (IOF), killing one soldier and wounding eight others in different areas of the West Bank and Jerusalem. According to a report released by the Intifada website, 21-year-old Malek Hamed slammed his car, a few days ago, into a group of Israeli soldiers on a road near the illegal settlement of Ofra, northeast of Ramallah. Three Israeli policemen also suffered different injuries when 17-year-old Ahmed stabbed them in Bab al-Wad area in the Old City of Jerusalem. He was killed on-site. 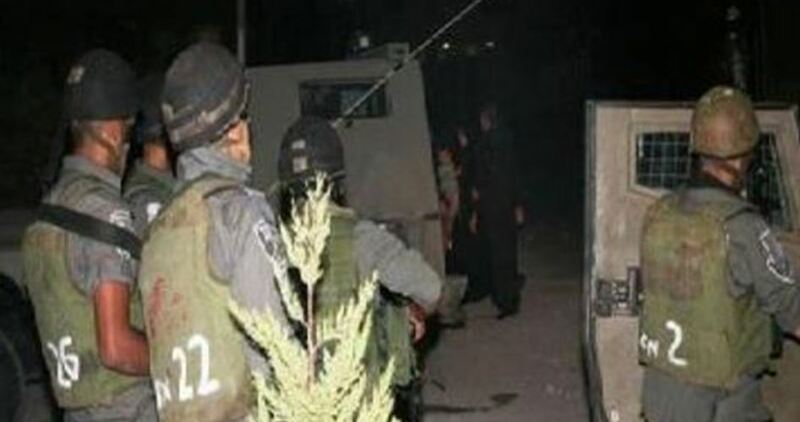 In a separate incident, the IOF claimed its forces foiled a stabbing attempt in al-Khalil city and arrested two young men, who tried to carry out the attack. 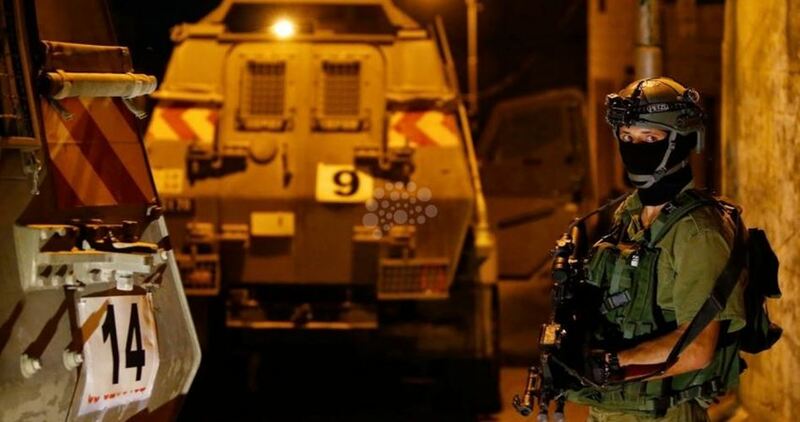 One soldier was slightly injured when angry young men hurled stones at an Israeli military force that clashed with them in Taqua town, southeast of Bethlehem. Young men also showered soldiers with stone in al-Jalazoun refugee camp in Ramallah, wounding one of them. In Jerusalem, one policeman was moderately wounded after a young man threw a Molotov cocktail at him during skirmishes in Issawiya district. In Beit Ummar town of al-Khalil, a group of young men detonated an explosive device at an Israeli military force. There was no information if the attack resulted in injuries among soldiers. In addition, gunfire attacks reportedly took place during the first week of April on different Israeli settlements. Anonymous gunmen, believed to be from the Palestinian resistance in the West Bank, opened fire at the illegal settlements of Beit Arab, Pisgat, and Shavei Shomron as well as the Salem military base. 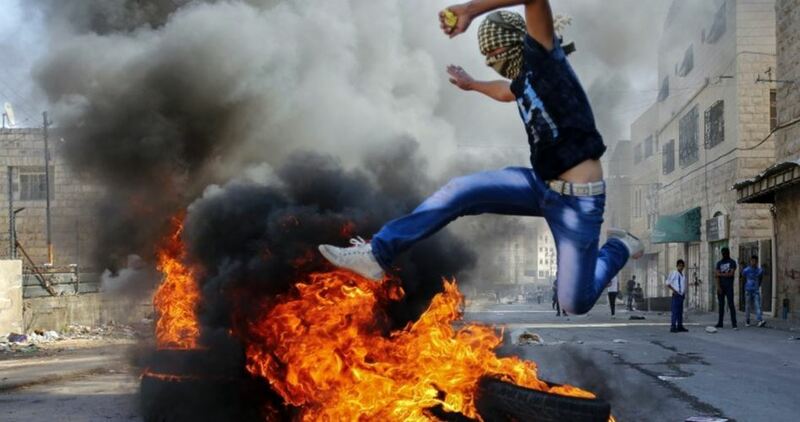 In another context, the Intifada website said that 12 Palestinians suffered rubber and live bullet injuries and many others were either beaten or attacked with tear gas during recent clashes with the IOF in different flashpoint areas of the West Bank and Jerusalem. Its report noted that seven Molotov cocktails were used against Israeli soldiers and policemen during clashes in the West Bank and Jerusalem during the fourth week of March 2017. It also pointed out that nine bodies of Palestinian martyrs are still being detained by the Israeli security and military authorities. 85 Palestinian citizens, including 10 children and many ex-detainees, were either detained or kidnapped in the West Bank and Jerusalem during the reporting weeks. 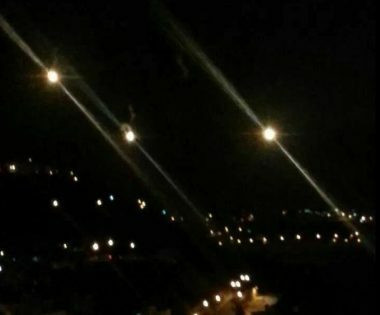 The Maan Palestinian News Agency has reported that several live rounds were fired, on Thursday at night, at a fortified military tower, near Psigot illegal Israeli colony, built on Palestinian lands in al-Biereh city, in central West Bank. It stated that a speeding car fired many live rounds at the military tower, and fled the scene; Israeli sources did not report any injuries among the soldiers or settlers. Following the shooting, the Israeli army conducted extensive searches in the area, and fired many flares. 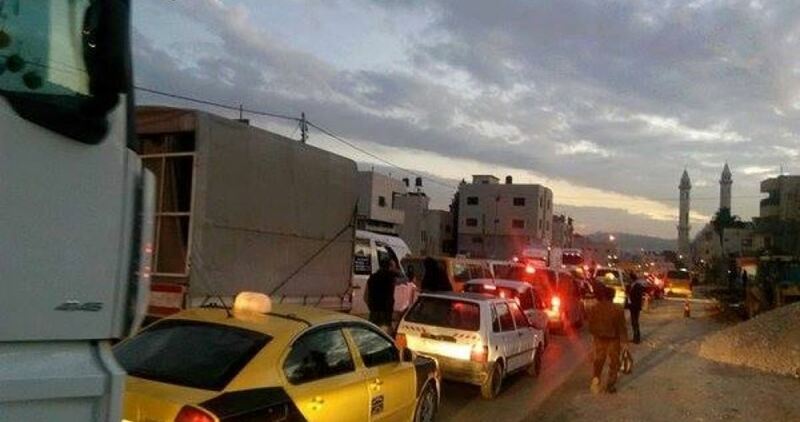 Dozens of Palestinian vehicles were seized on Monday evening at a flying checkpoint pitched by the Israeli occupation forces (IOF) on the access road to Deir Sharaf town, west of Nablus. The IOF stopped and searched Palestinian vehicles before they subjected the drivers to intensive inspection, eyewitnesses told the PIC. Dozens of Palestinian vehicles and civilians lined up in streets due to the traffic jam wrought by the overnight crackdown. A few hours earlier, the Israeli army claimed that anonymous gunmen opened fire at the Israeli Shafi Shamron illegal settlement outpost built on Palestinian land northwest of Nablus. According to the Hebrew-speaking 0404 news site, nine bullets hit an iron wall surrounding the aforementioned outpost. No injuries were, however, reported in the alleged anti-occupation shooting attack. The Israeli military forces raked through Palestinian lands in the area in the hunt for the suspects. Gunmen, believed to be from the Palestinian resistance, opened fire on Sunday night at the Israeli Salem military base, west of Jenin city in the occupied West Bank, and withdrew from the area. 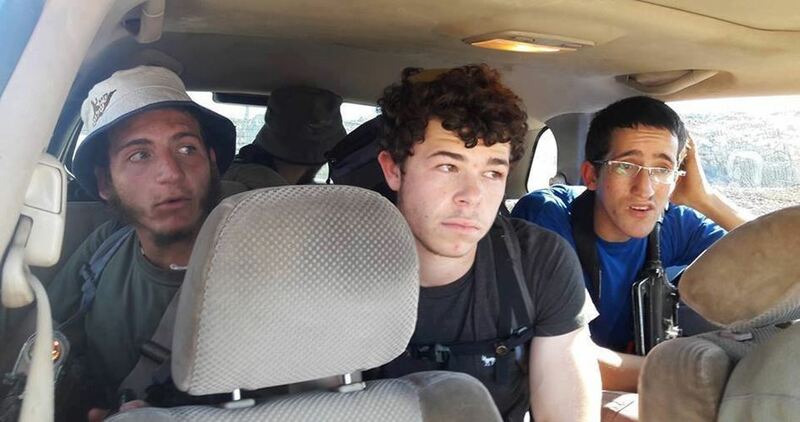 Local sources told the Palestinian Information Center (PIC) that the armed men were aboard a vehicle during their gunfire attack on the base and managed to escape the scene, adding that the Israeli army combed nearby areas in search for the shooters. They added that it was the third time such attack on the base happened within one month. They also said dozens of Israeli troops stormed, amid intensive gunfire, the nearby towns of Silat al-Harithiya, Yamun, Zabbuba and Rummanah to look for the attackers. Soldiers also raided a kerosene store on the Jenin-Haifa road in Yamun town and reviewed its security camera recordings. 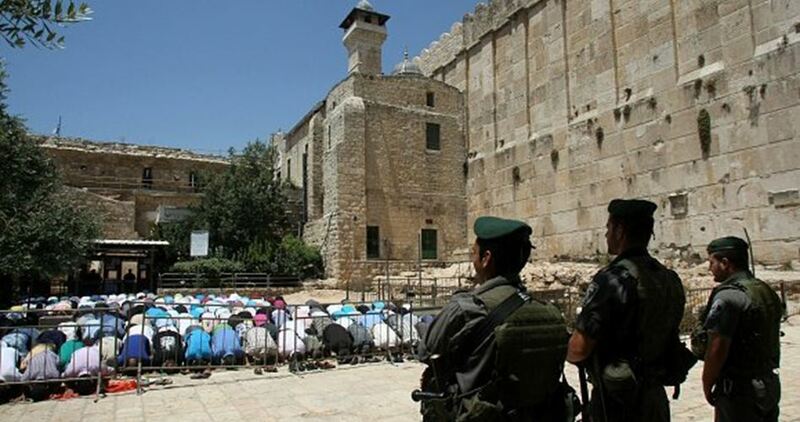 Israeli Occupation Forces (IOF) on Friday evening arrested a Palestinian young man under the pretext of knife-possession in the vicinity of al-Ibrahimi Mosque in al-Khalil. An Israeli soldier, on the other hand, was injured by one of the stones thrown at the soldiers in Ramallah. Yedioth Ahronoth Hebrew newspaper reported that the Palestinian youth was arrested at a military barrier and taken for questioning. On the other hand, an Israeli soldier was injured by the stones thrown by Palestinian youngsters in Nilin town west of Ramallah. He was transferred to hospital for treatment, radio Israel reported. An Israeli settler residing in illegal outposts built on Palestinian land sustained serious wounds on Monday evening shortly after he stormed Sa’ir town, in the southern occupied West Bank. Speaking with a PIC news correspondent, eye-witnesses said the Israeli settler rolled into Palestinian lands in al-Khalil’s northeastern town of Sa’ir onboard his truck, before he was cordoned off and attacked by a group of Palestinian anti-occupation youths. The settler reportedly sustained serious injuries in the process. Palestinian anti-occupation protesters have often stood on guard to settler infiltrations into their lands for fear of having their crops stolen and homes burglarized. 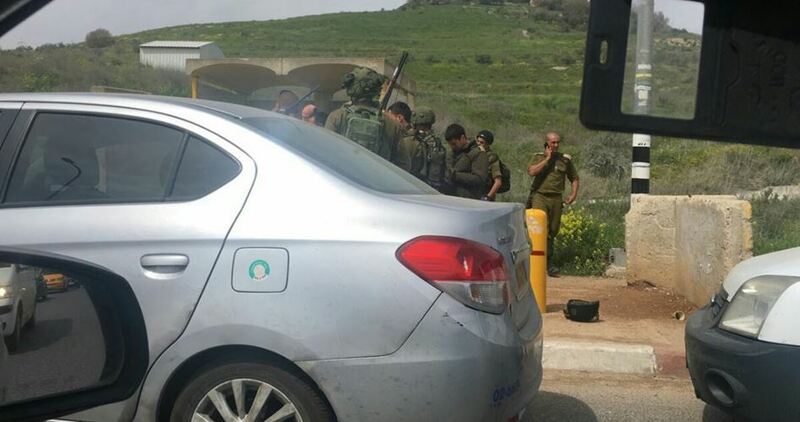 A Palestinian youth was kidnapped by the Israeli occupation forces (IOF) at noontime Monday near Hawara checkpoint, south of Nablus, on allegations of an attempted anti-occupation stabbing. The Israeli army spokesman said a Palestinian youth was arrested after he attempted to stab Israeli soldiers. Reporting from the scene, eyewitnesses told the PIC that the young man was walking near the checkpoint while an Israeli woman suddenly fled the scene. A group of soldiers deployed in the area nabbed the young man. A snapshot circulated by Hebrew-speaking news outlets showed a sharp object thrown on the ground and purported that it was carried by the youth. Gunmen, believed to be from the Palestinian resistance, opened fire on Friday night at an Israeli military post located west of Jenin city in the occupied West Bank. Local sources told the Palestinian Information Center (PIC) that armed men showered the watchtower of the Salem military base west of Jenin with volleys of bullets at around two o’clock after midnight. The sources added that the gunmen were aboard a vehicle and withdrew from the area, where the Israeli army dispatched soon later a large number of troops. Citizens from the nearby towns of Rummanah and Zububa also reported hearing gunshots at the time of the attack. Consequently, dozens of Israeli soldiers and military vehicles stormed Palestinian areas around the Salem base, especially Rummanah and Zububa, and established roadblocks at their entrances. 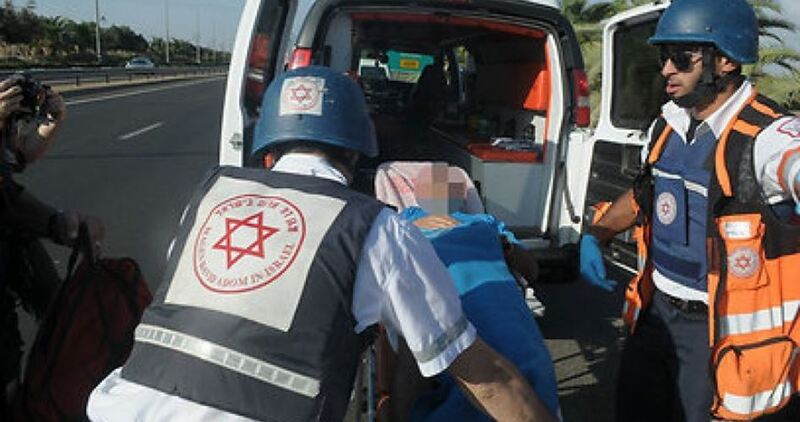 Three Jewish settlers on Friday morning were slightly injured when the car they were aboard came under stone-throwing attack in Qalandiya refugee camp, north of Occupied Jerusalem. According to Yedioth Ahronoth newspaper, three settlers traveling aboard a vehicle mistakenly entered a Palestinian neighborhood (Qalandiya camp), which is located in the Israeli-controlled Area C.
The newspaper said that the settlers were slightly wounded and their car sustained damage when local young men from the camp hurled stones at them, adding that an Israeli military force rushed to the area and saved them.